The Notre Dame fighting Irish bounce back from a lose from Texas as they beat Nevada in great style. Great defense, running and the passing game. 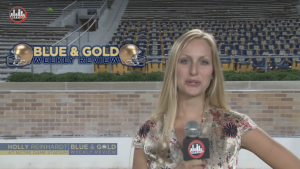 We have fan cam, players reactions and special host musician Holly Reinhardt and Jason Cripe of the New ND Nation.